same location for more than 30 years! 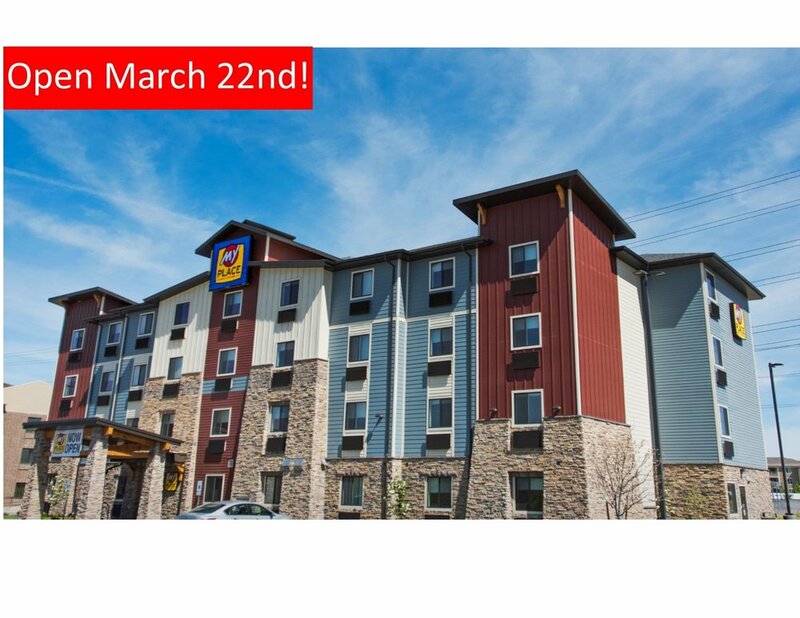 Marquette, MI-March 23, 2017—My Place Hotels of America is thrilled to announce the opening of Michigan’s first My Place location in Marquette! Area travelers now have a fresh economy option in the brand new four-story, 63-room My Place Hotel, conveniently located at 2383 US 41 West. Central to the Upper Peninsula’s premier retail, dining and entertainment corridor, the hotel’s location also offers easy access to Northern Michigan University, the Superior Dome and the Berry Events Center. In addition to the new hotel’s ideal location, guests will also greatly benefit from the expertise and exceptional service provided by the award-winning owners and operators of Superior Oasis. The opening of My Place Hotel-Marquette, MI marks the brand’s debut in The Great Lake State! US EXPANSION CONTINUES: MY PLACE HOTEL-MARQUETTE, MI IS NOW OPEN! All My Place Hotels offer modern amenities at an affordable price including nightly, weekly and monthly rate options. Each extended stay guest room will feature a My Kitchen, complete with a two burner cooktop, a microwave and a full refrigerator. The property is pet friendly and will also include on-site laundry facilities, complimentary high speed Internet service and a 24-hour My Store, located in the hotel lobby and stocked with an array of supplies for the guests’ convenience. Additionally, guests are invited to enjoy the new Breakfast in Bed option for a minimal cost. My Place Hotels of America, LLC. is persistently advancing in its campaign for U.S. expansion of the recently launched franchise system. The chain currently has 31 hotels open and operating with a near-term pipeline of 32 additional hotels and midterm commitments for upwards of 40 more hotels to follow. To book your stay at My Place, please call the toll-free reservation line at: 855-200-5685, or visit myplacehotels.com to book online. construction brand, designed to ensure quality, consistency and the highest of standards for delivering marketplace value. For more information on becoming part of our growing franchisee family, please visit myplacehotels.com or contact Terry Kline at (605) 725-5685.